One of Beaducation's most treasured products has always been our 4 Sided Swivel Pendant. 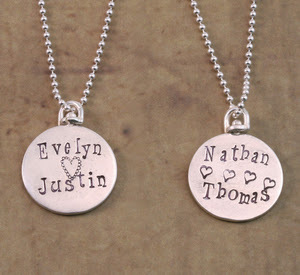 Our very own Lisa Niven Kelly designed these beauties and folks just love them because they have enough room for four different names to appear on the pendant, not to mention the beautiful sleek design. We have carried these in Sterling and Brass for years and just added them in Copper in 2013. In addition to the 4-sided pendant, we added the 2 Sided Swivel because folks loved the look of the long design, but sometimes had fewer names to stamp. Knowing how popular our swivels are, we are so excited that we finally have our Swiveling Circle Pendants. 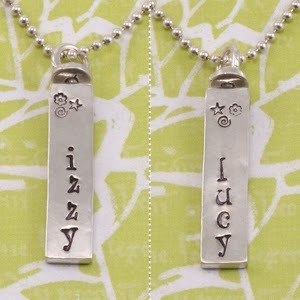 We are carrying 2 sizes in Sterling Silver (1/2" and 5/8"). And in order to keep the cost down for customers, we also added a larger 3/4" in solid brass with a heavy Sterling Silver plating. We suspect people will enjoy these circle swivels as much as our swivel bar pendants. 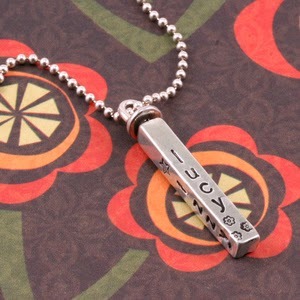 The 16g thickness makes them fantastic for stamping on both sides, with the versatility of being able to flip from side to side without taking the necklace off. If you are curious about these, make sure to get your order in because they are flying out of our warehouse!